When completed in 1967, Molly Macalister's 'Maori warrior' provoked controversy because it did not show its subject in a conventional warlike stance. Instead, the 3-metre-high bronze figure, wearing a full-length korowai (cloak) and holding a mere (club), is evocative of dignity and nobility. Macalister developed her ideas for the statue in consultation with local Ngāti Whātua people, who supported the final design. 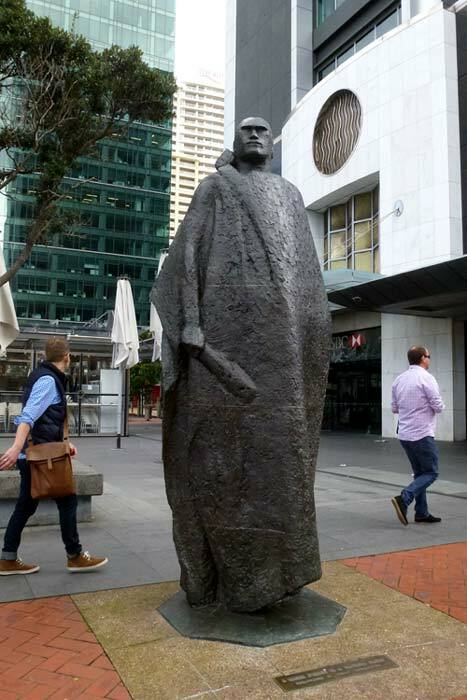 Originally located in Queen Elizabeth II Square outside Auckland's main post office, the statue was relocated to Quay Street in 2000 and in the 2010s stood opposite the ferry buildings.